As we explained previously, the word for נבלה, ‘corpse’, ‘cadaver’, also means נבל (pronounced Naval) that is the description for a negative person. Speaking negativity is another aspect of נבל. When we speak ill of others or any form of speech that doesn’t connect to the aspect of ‘life’, we increase the aspect of ‘death’ in the world. Connecting with false and negative speech to the Tree of Life is like ‘hanging’/connecting death to the Tree. This causes great impurity in a person and brings death on him in this life and the world to come. 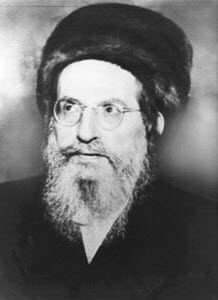 The Gaon of Vilna who was a great Kabbalist, tells us that the correction for speaking negative is death by choking. To make a correction in this life, a person needs to restrict on speaking any evil tongue and recite sacred text that is energy of life in order to transform/compensate for the previous negativity he created. (We have transliterated Zohar text in http://UnityZohar.com also for this purpose). Even cursing or uttering negative words on a person when you are inside your closet where no human ears are there to hear, it is still considered as bringing aspect of death to the soul. Manifesting a thought into negative action in the physical realm creates negativity on the spiritual level that is attached to the person’s soul on all levels in this life and the next. It must be cleansed. Stopping the negative thoughts before manifesting, is the ultimate restriction and it removes the negative aspect of it at the seed level. When it comes out, negativity is released and a correction process must follow. It is very hard for most people to understand that, this life is only about cleansing the soul. The desire for the self is what keeps the soul attached to our body and keeps it alive in this world. The main goal is to make the body a slave for the soul and not the opposite.